In an interview with Tom Gilson, Associate Editor Against the Grain, and Matthew Ismail, Director of Collection Development at Central Michigan University, Dr. Alicia Wise talks about text and data mining, the departure of the Lingua editorial board, Elsevier’s partnership with the University of Florida implementing the ScienceDirect API for institutional repositories, green vs. gold open access publishing – and access for developing countries. The interview was done at the 2015 Charleston Conference. A challenge that we can effectively work together on (publishers and libraries) is making it clearer for researchers that they can share with confidence. In that regard we need to work together (with libraries) to make sure all licensing and copyright issues are sorted out so researchers do not need to worry about that part. All publishers, not just Elsevier, are on the same page with regards TDM: they actively want to support it. But TDM in general is still very much in a phase of early adoption. Researchers are approaching TDM in different ways, and in across subject areas. We all (publishers) need to invest in technologies and support systems to facilitate it – as are libraries. We’re not trying to make it complicated – we want to facilitate it. In response to how she sees the Big Deal, Alicia stresses that it’s the publishers’ job to offer libraries choices. We know libraries need flexibility, that’s why we offer big deal packages and subject collections; as well as the option to buy by title or purchase on demand. It’s our job to offer libraries choices. The advantage of the Big Deal is the breadth of the volume and subjects included which for users. All our titles (more than 2,500) have green open access, so self-archiving options. We have around 325 full gold OA journals titles (this number has increased to more than 480 since the interview) and over 1,600 hybrid titles (offering both gold OA and subscription publishing options). There was a suggestion made that the journal, which is over 60 years old, should be given to the editorial board members. There was a philosophical belief that the journal should be owned by the research community. We often publish journals together with individuals from the research community, e.g., societies, but I’m not aware of any business model where a journal is owned by the research community. They (the editorial board) were also keen to see that the title – which has very low uptake of OA articles – flipped to a fully gold OA title with an APC of 400 Euros. We didn’t see any way to make that work. … The most important thing is that we wish the editorial board well. It’s hard to start a new journal, but they’ve got some grant money to start with. Alicia also shares an example of how Elsevier and the University of Florida are working together to expand access to researchers’ works. Using our new API service on ScienceDirect the University of Florida can pull metadata and abstracts from all of its researchers going back to 1949 into their institutional repository. This immediately gives their IR a much stronger position to showcase the University’s total research output. I think there’s a widely held misunderstanding that green OA is free or less expensive. Green OA is how you make a subscription article open access – and you do it by making a version of the article freely available. That is why there are embargo periods, and rules about which version you share. The green OA model is symbiotic with the subscription business model. To make the point on green OA not being a free form of OA publishing, she refers to a recent analyses by the Max Planck Digital Library. Max Planck Digital Library in Germany recently published a proposal in which thought through how to do a global switch from subscription model green open access to gold. We dug into their numbers a bit, and what they reveal is that the total systemic cost would not be any greater in a full gold OA world. Interestingly enough, for the United States, the total contribution in a fully gold OA world would be less than its total contribution in a subscription world. There is a lot access to journal and book content in the 106 least developed countries in the world because of a program called Research4Life – and I think this is a widely unknown fact. A lot of researchers are concerned about peers in developing countries not having access. They do in fact have terrific access, or at least the possibility to have access to it. 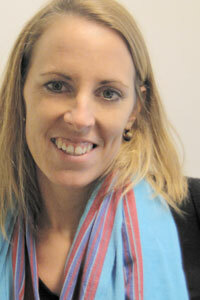 Sacha Boucherie is the Access & Policy Communications Manager at Elsevier, based in Amsterdam. She is responsible for helping to communicate Elsevier's progress in areas such as open access, universal/philanthropic access programs and access technologies.